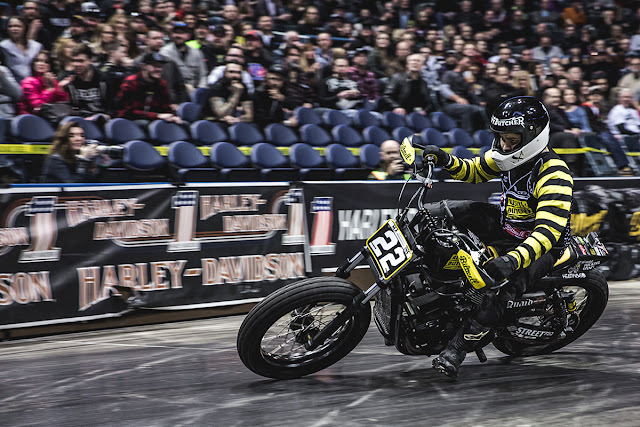 A motorcycle show featuring motorcycle builders, rare bike owners, painters, and photographers, honoring the industry and it's crafts by carefully curating it and presenting it to the interested masses. 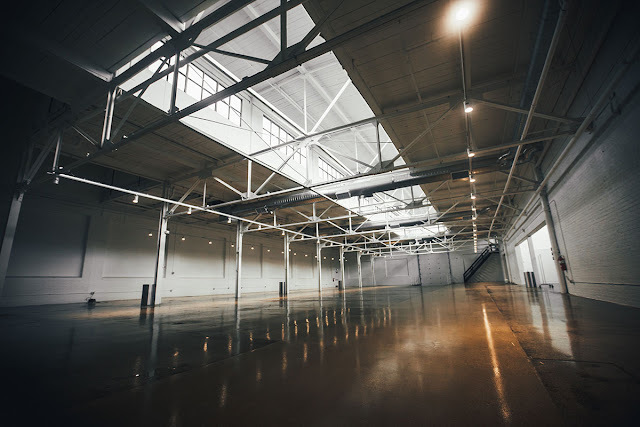 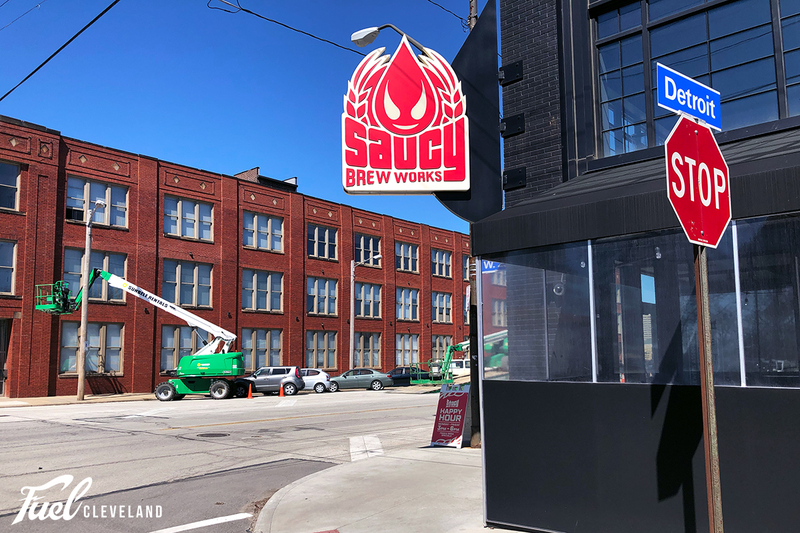 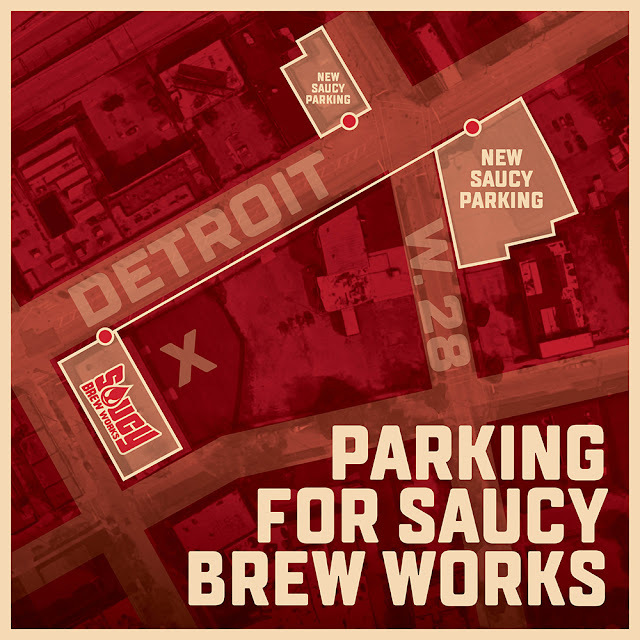 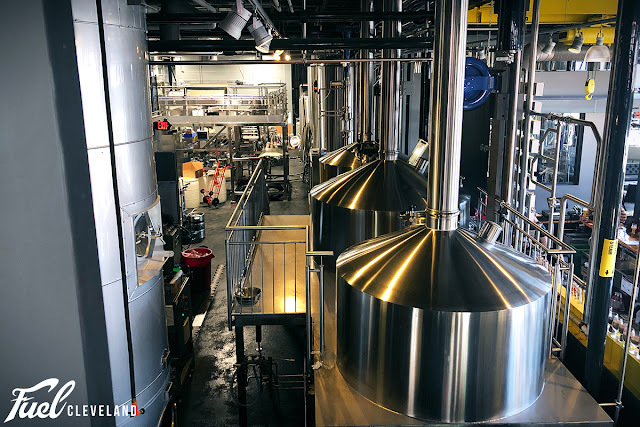 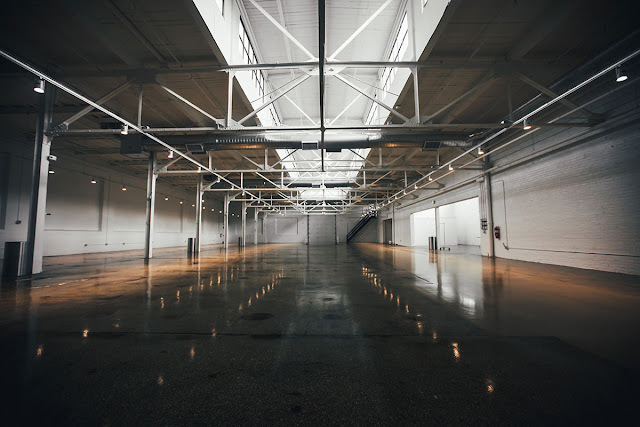 The show takes place in an industrial warehouse just blocks from Lake Erie, providing the perfect urban, gritty setting for this Great Lakes focused show. It is a free event. The Great Lakes region is filled with manufacturing, machine shops, and automotive industry. Despite the foul winter weather, or maybe because of it, gear head ingenuity abounds. 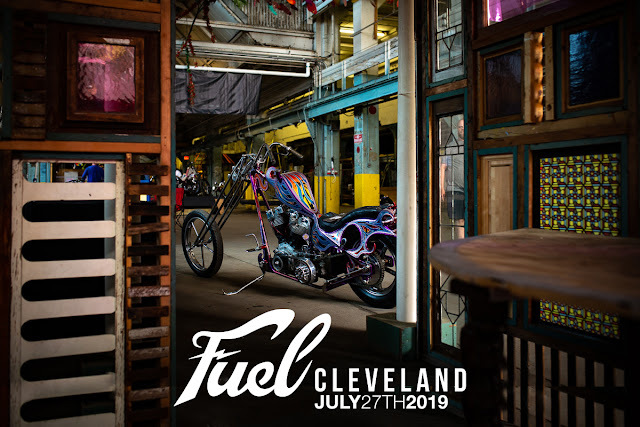 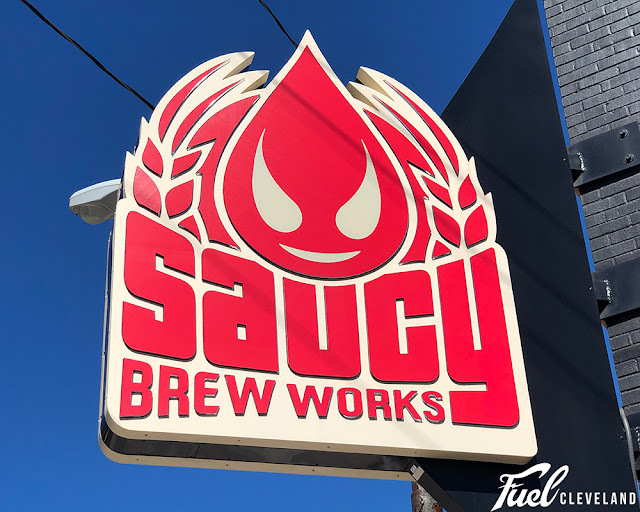 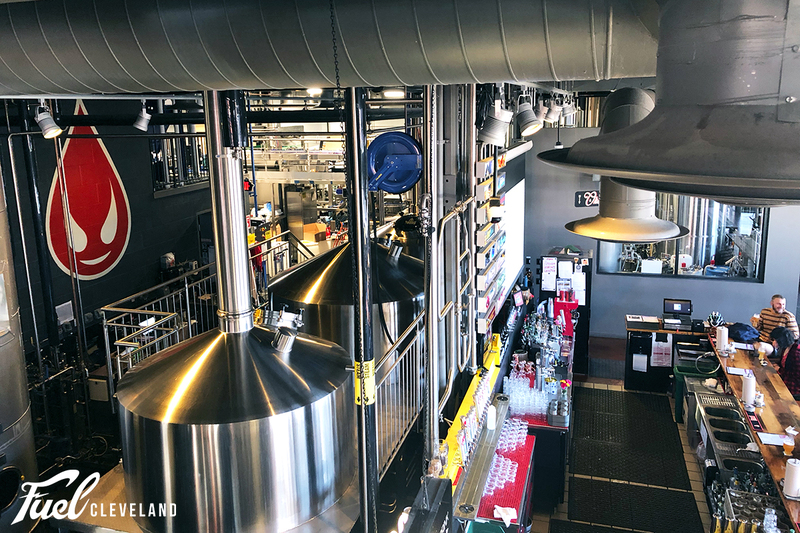 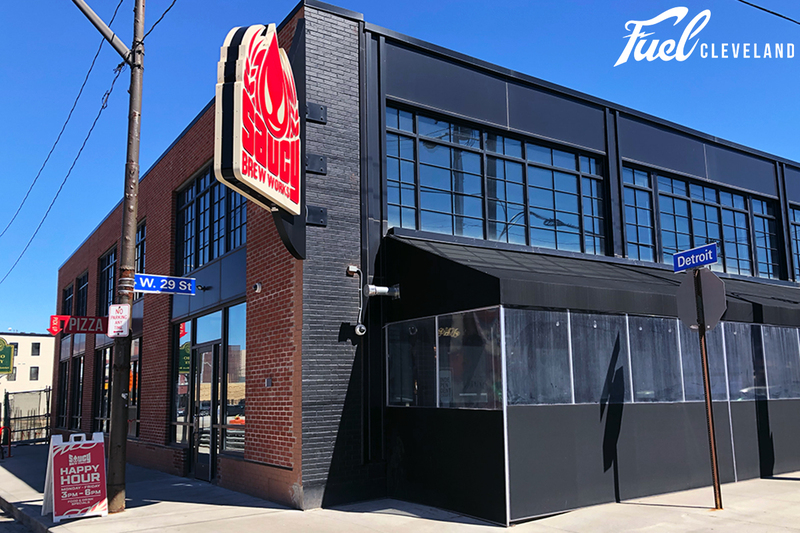 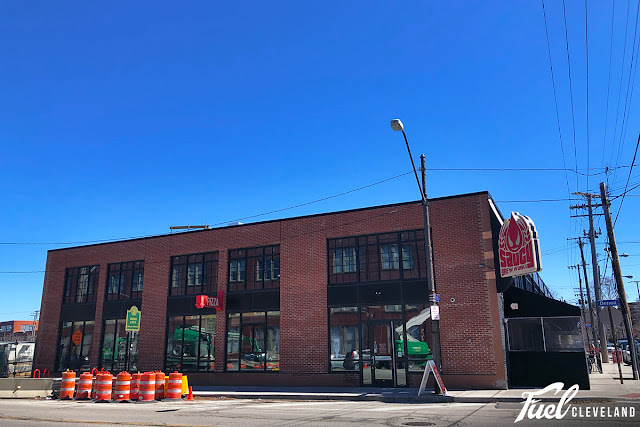 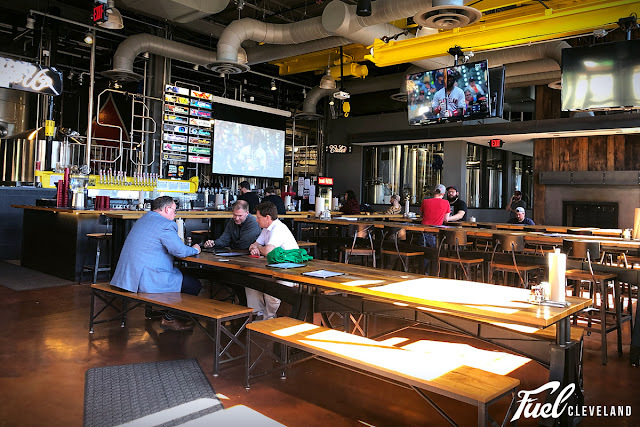 Fuel Cleveland aims to drag seldom-seen rare motorcycles and top-quality custom choppers together, along with photography and paint work by some of the top artists in the motorcycle community, to be shown off to like-minded motorcycle enthusiasts. For more information check out the website and give us a follow on Instagram. Are you currently building a bike? 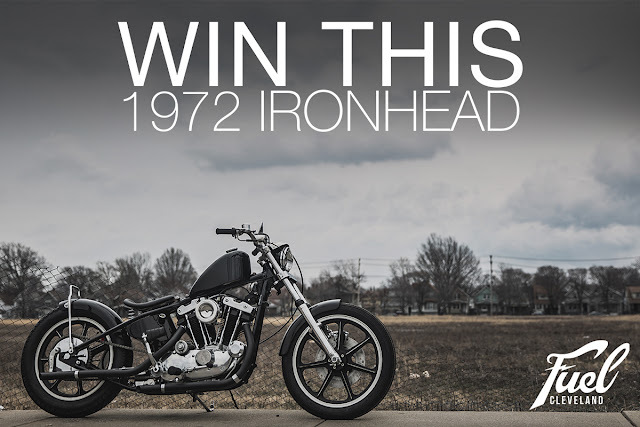 Or got something collecting dust no one has ever seen and you want to show it off? 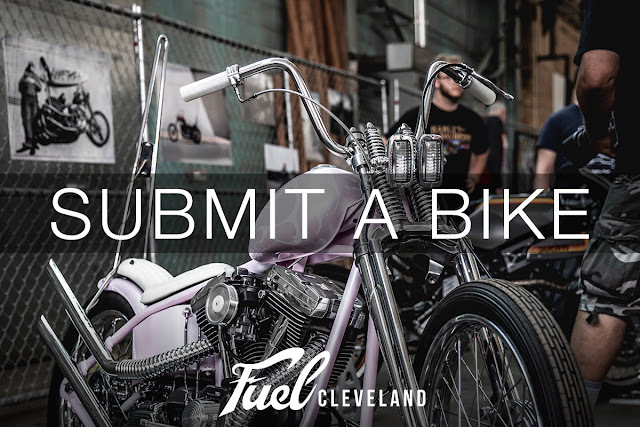 Email photos and info about your build or bike and yourself to fuelcleveland@gmail.com We are looking for choppers, cafe racers, land speed bikes, survivors, vintage, rare, history filled, interesting and beautiful craftsmanship worthy machines. 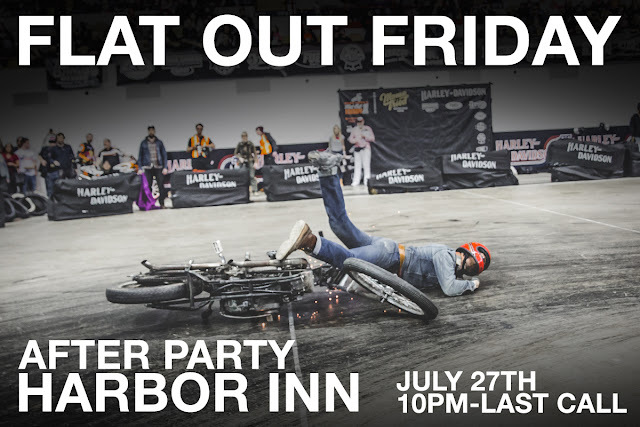 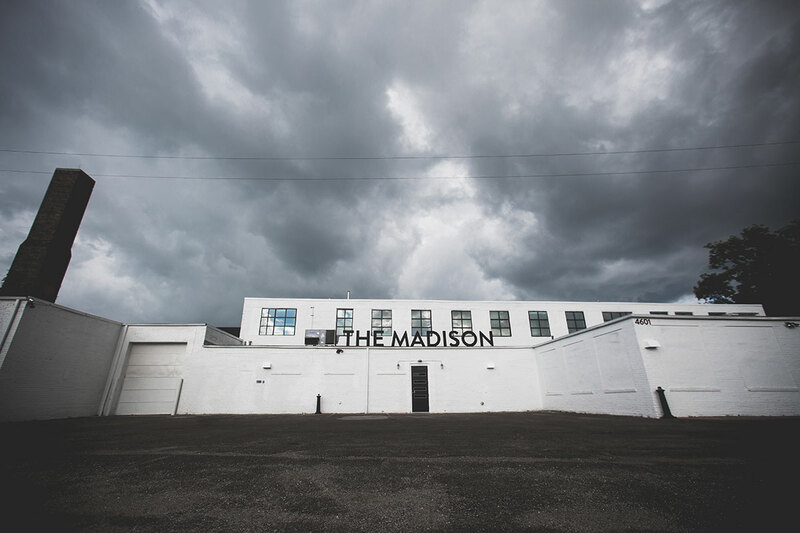 This year's show will be taking place at The Madison Venue on July 27th, 2019 from 12-8pm and completely 100% FREE to attend thanks to Lincoln Electric, Biltwell Inc, Old Bike Barn, Cheap Thrills Good Times, Sailor Jerry, Lowbrow Customs, The Gasbox and Forever The Chaos Life. 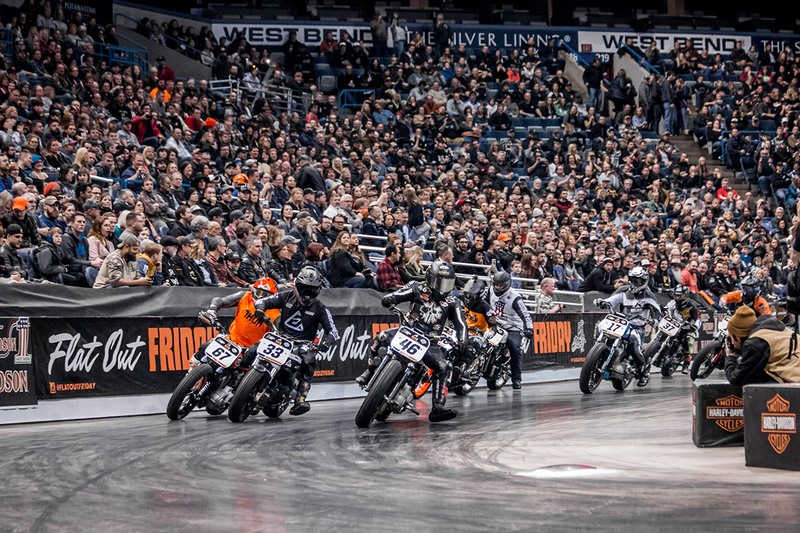 Rider Registration is Open & Tickets are On Sale Now! 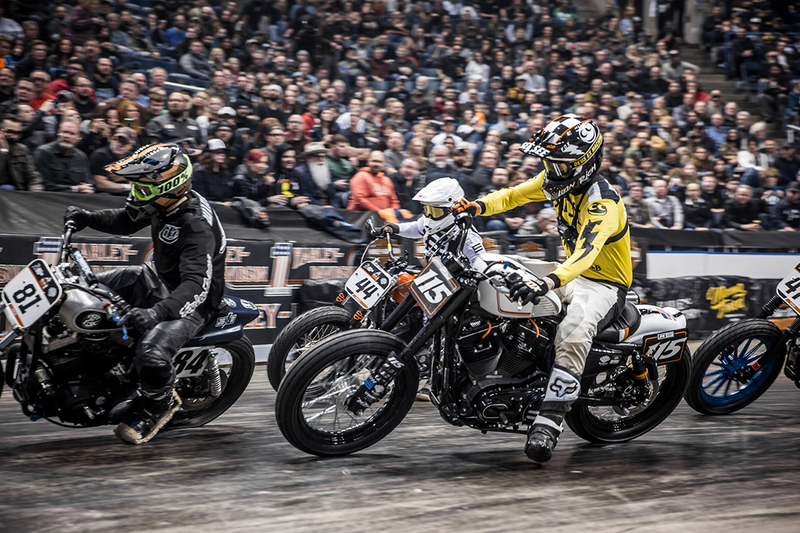 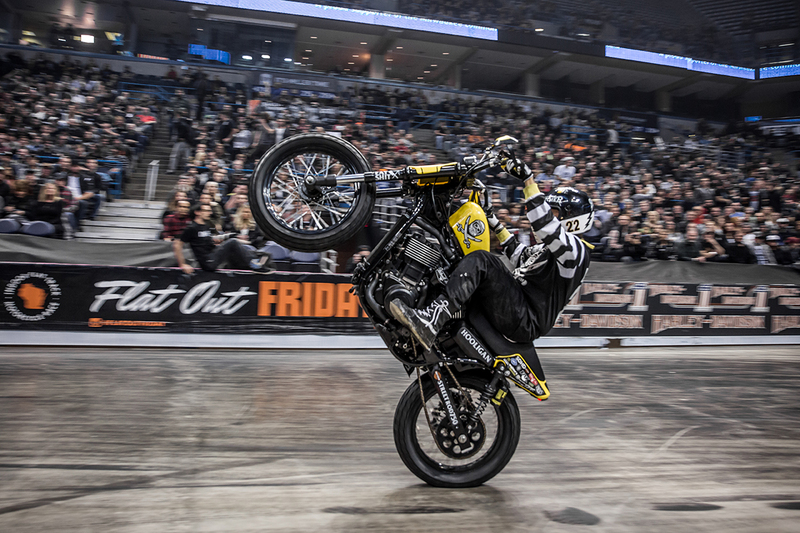 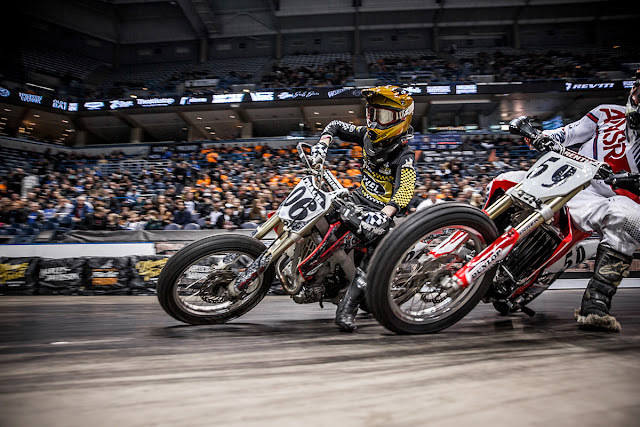 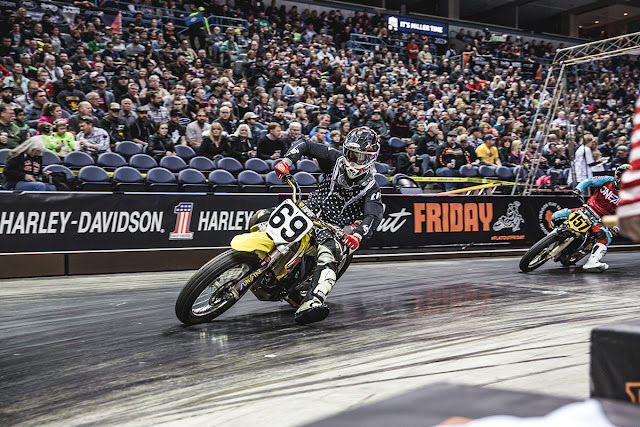 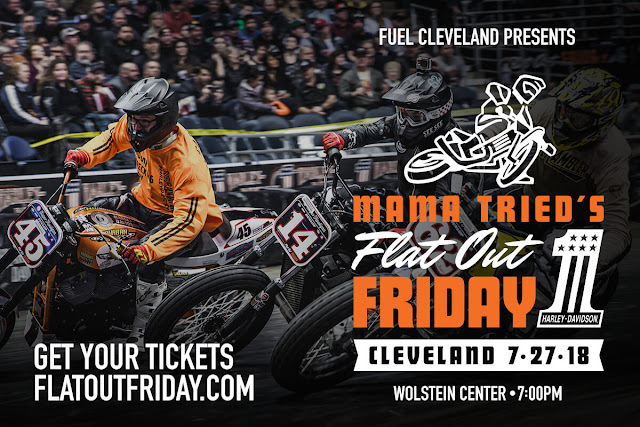 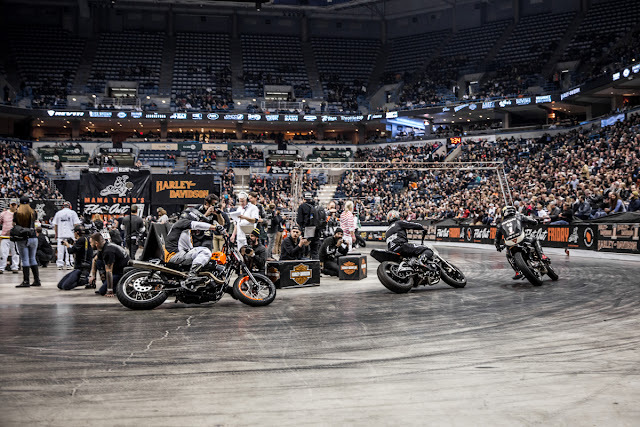 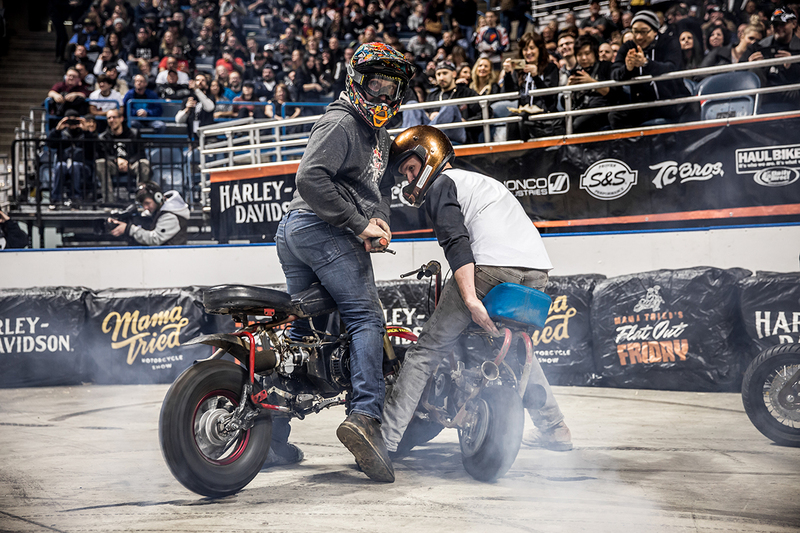 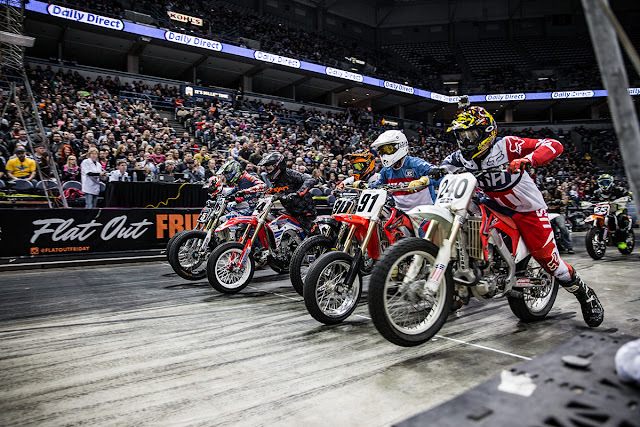 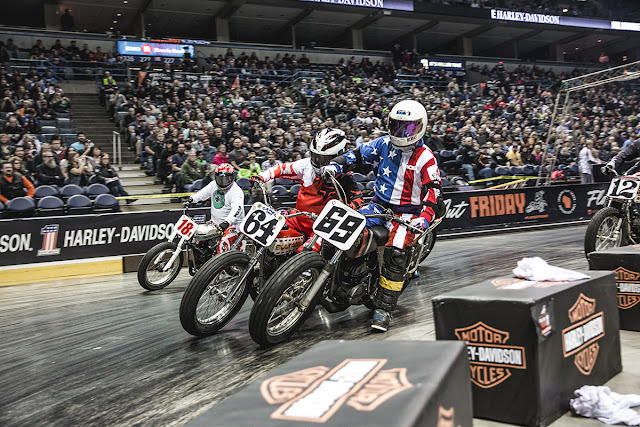 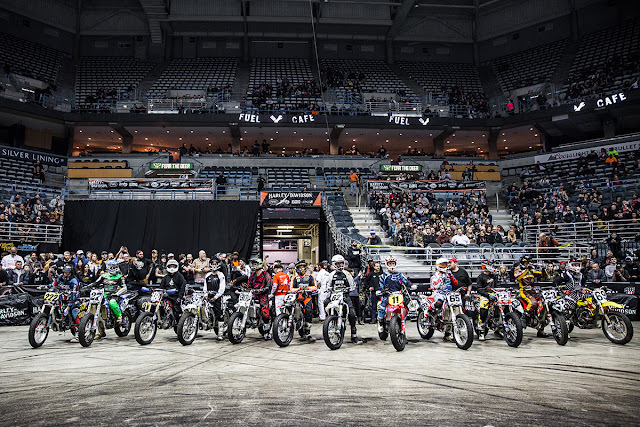 (CLEVELAND - May 4, 2018) - Fuel Cleveland presents Mama Tried Motorcycle Show's Flat Out Friday, an indoor, flat track, motorcycle race, on July 27th at the Wolstein Center. 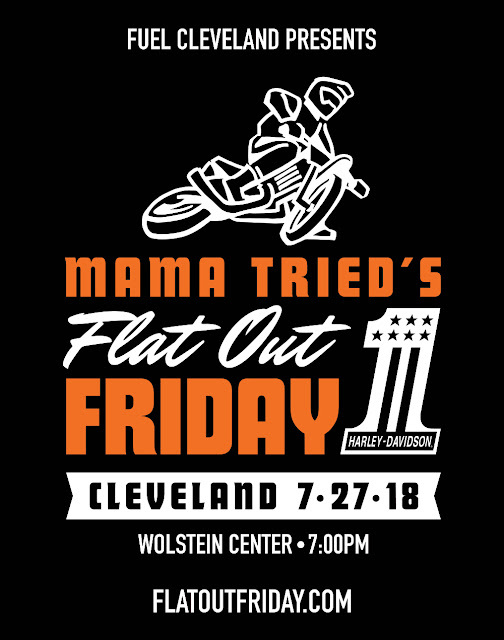 Tickets are on sale now and can be purchased at the Wolstein Center Ticket Office or http://www.wolsteincenter.com/event/flat-out-friday/. 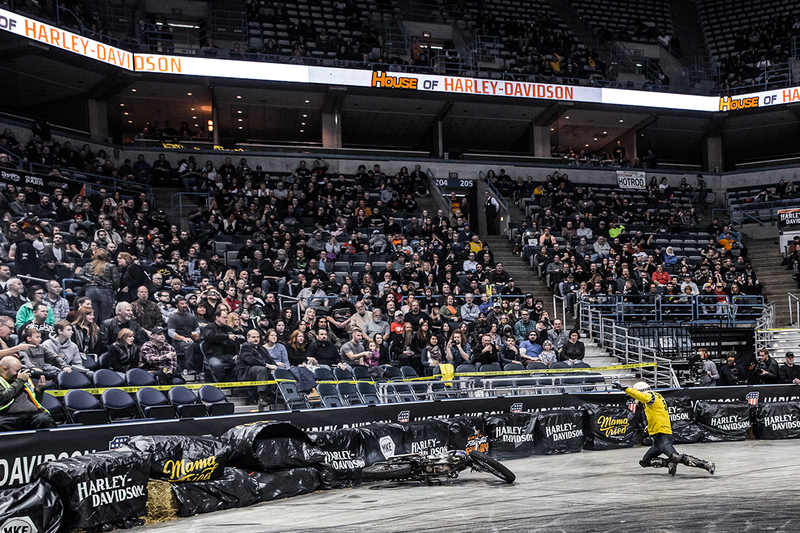 Flat Out Friday is an indoor, flat track, motorcycle race on a Dr. Pepper soda syrup surface. 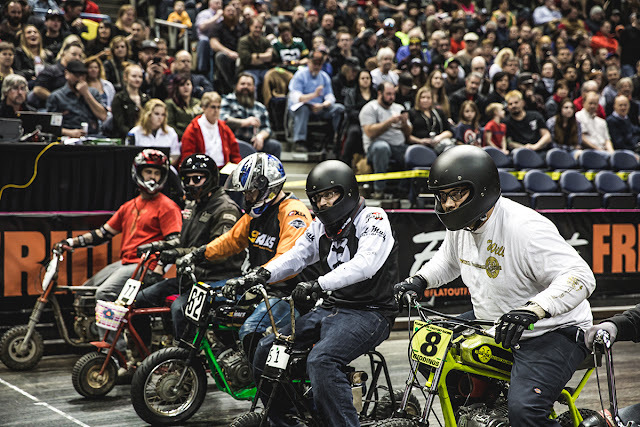 Competing in nine classes, sign up is now open for Brakeless, Open Amatuer, Youth, Open Vintage, MadDawg, Women, Pro, Hooligan and Goofball. 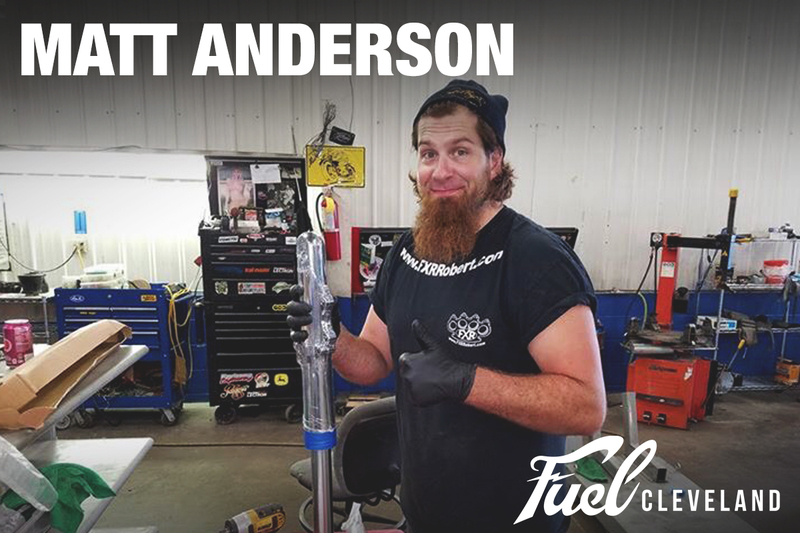 Here is your chance to take home a one of a kind build by Jesse Bassett from The Gasbox! 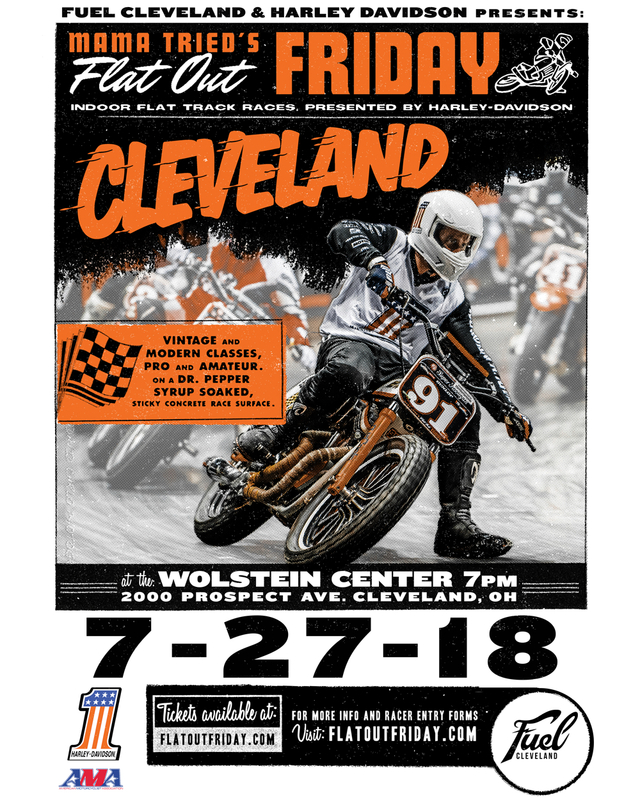 This 1972 Harley-Davidson Ironhead Sportster will be given away to one lucky ticket holder at Fuel Cleveland on July 28, 2018. 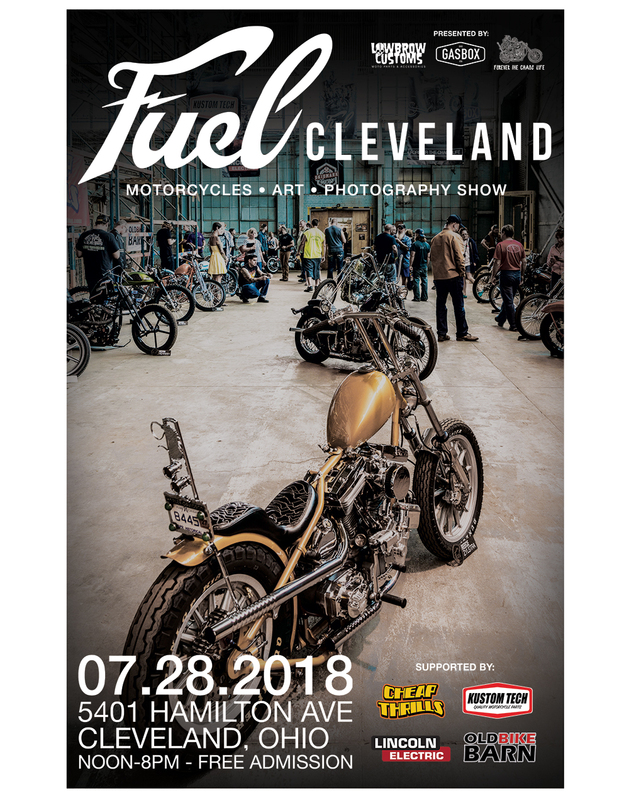 All you have to do is swing over to www.lowbrowcustoms.com/fuel and grab yourself a Fuel Cleveland Logo Patch, with that purchase you will receive a free entry ticket into the raffle for the bike. YOU MUST BE PRESENT AT FUEL CLEVELAND TO WIN THE BIKE! 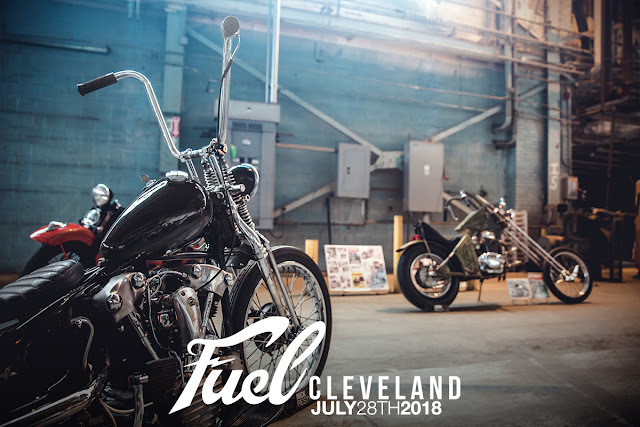 If you can't make it to Fuel Cleveland but still feeling a little lucky, everyone who buys a Fuel Cleveland Patch will also be entered to possibly win a SQUARE WAVEÂ® TIG 200 Welder, A POWER MIGÂ® 210 MP Welder or a TOMAHAWKÂ® 375 Plasma Cutter from long time Fuel Cleveland show sponsor Lincoln Electric. 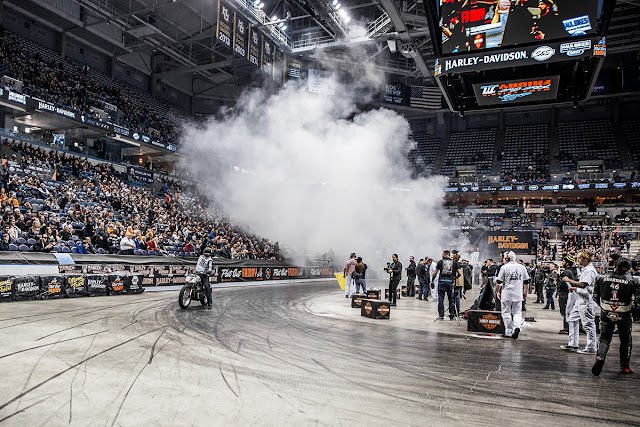 While having to be present to win the motorcycle, you do not have to be present to win any of the three Lincoln Electric prizes! 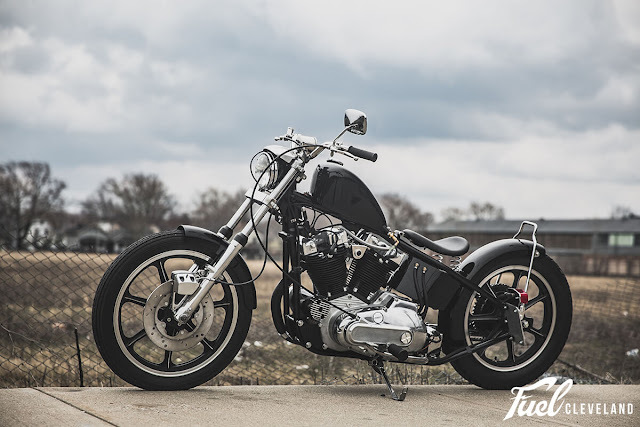 For more in depth details on the build you can swing on over to lowbrowcustoms.com and get a good look at what could be your new bike. The engine was completely restored by Delzani Cycle with NOS Harley-Davidson Components. 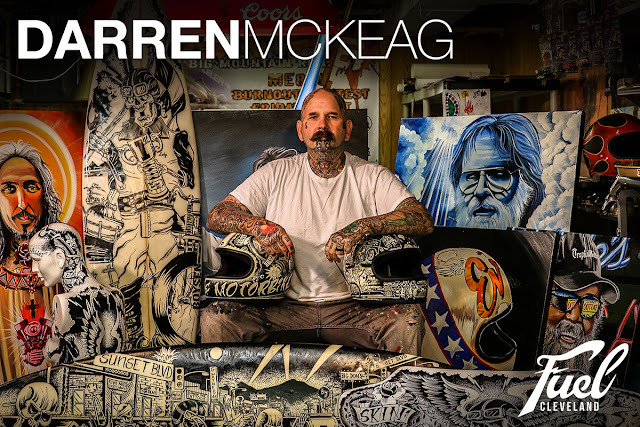 Big money (around $5,000!) 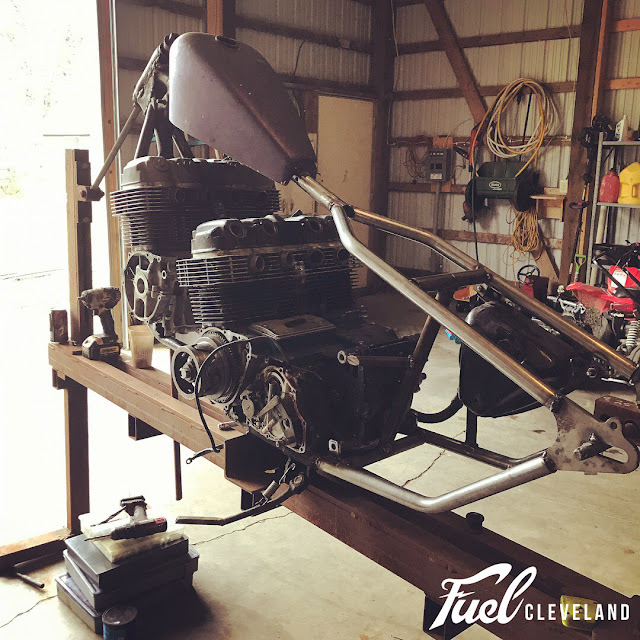 went into this engine to make it just perfect for its new owner. 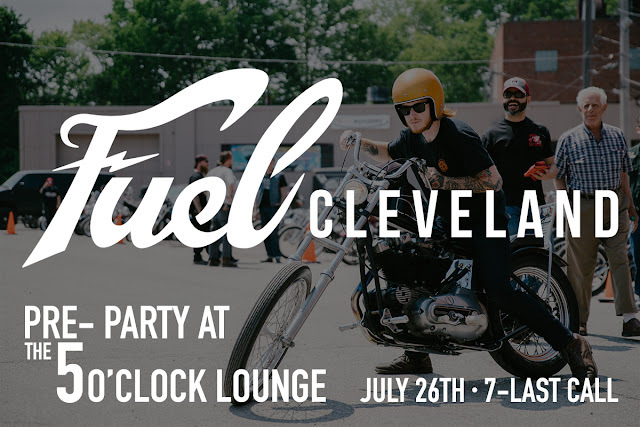 Big thanks to Cleveland's own Lincoln Electric for always being one of the main sponsors for Fuel Cleveland. One of these machines could be yours! 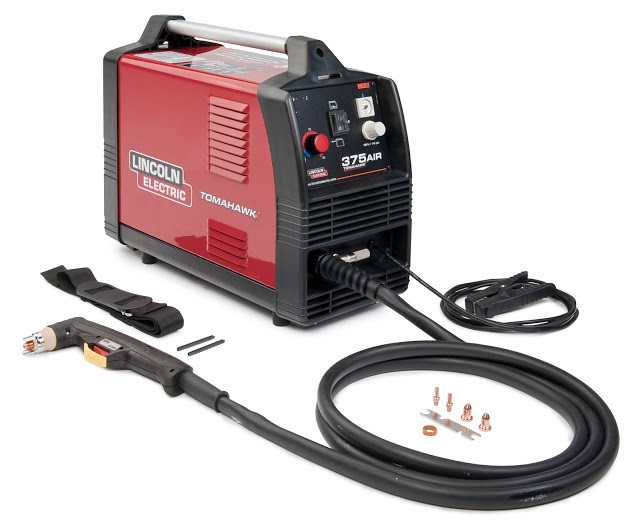 You could win a TOMAHAWKÂ® 375 PLASMA CUTTER. I learned of Matt Anderson and his crazy idea to build a 1971 dual engine CB750 a few months ago and it was instantly a no brainer to extend the invite to have him unveil it for the first time at Fuel Cleveland on July 28th, 2018. Though I haven't had the pleasure of meeting Matt yet in person, what encounters I have had with him over email, you can just tell he eats, sleeps and breathes custom motorcycles. 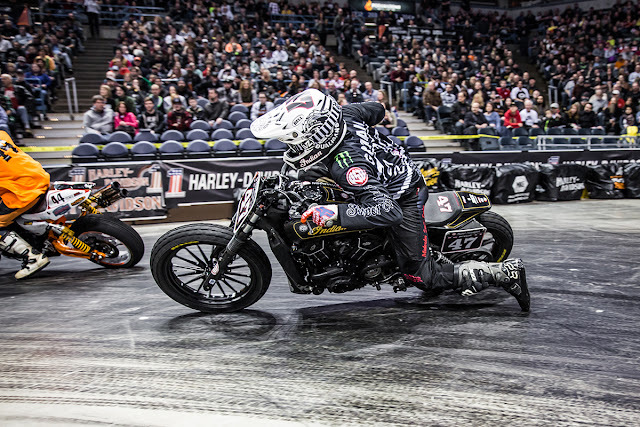 I personally can't wait to see his dual engine come to a reality and see him ride it into the show. 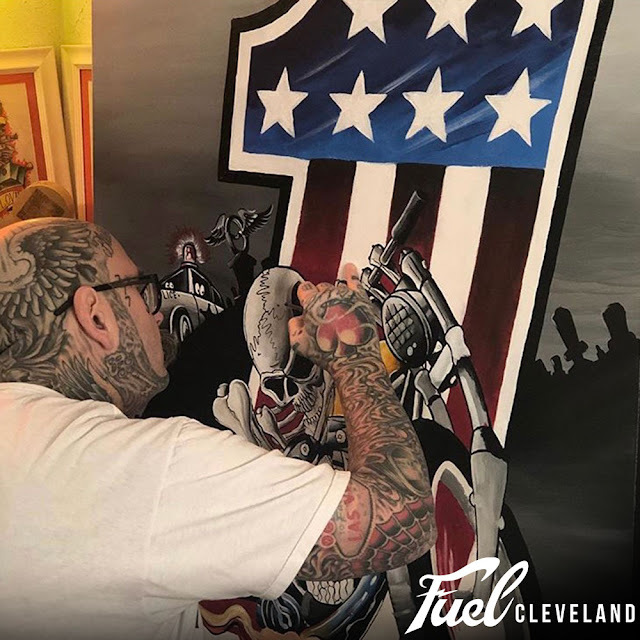 First off, I just wanted to say thank you for giving me the opportunity to be a part of Fuel Cleveland, along with the growing culture of custom motorcycles and level of talent the bar has been raised to. 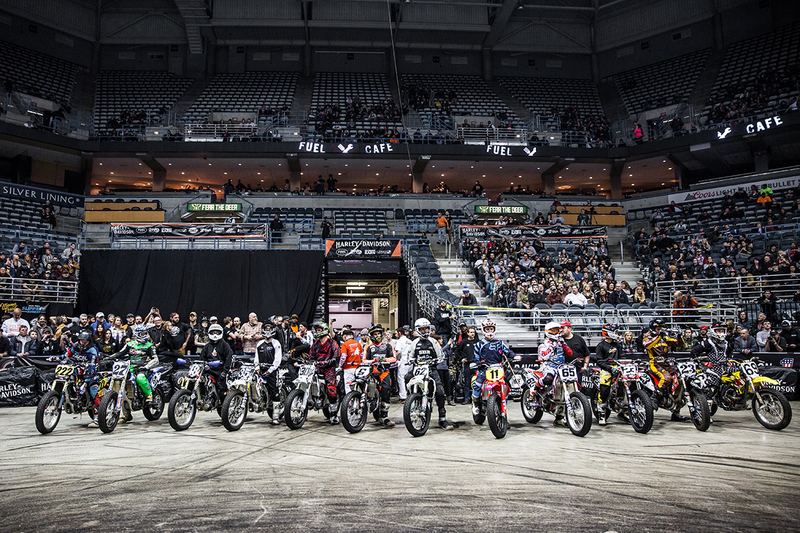 I feel truly privileged to get a chance at this experience. 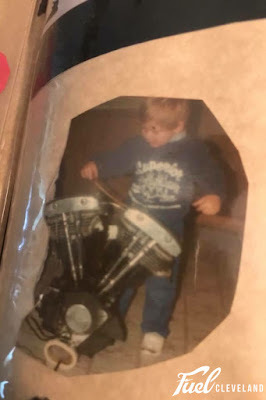 I have been around motorcycles my whole life. 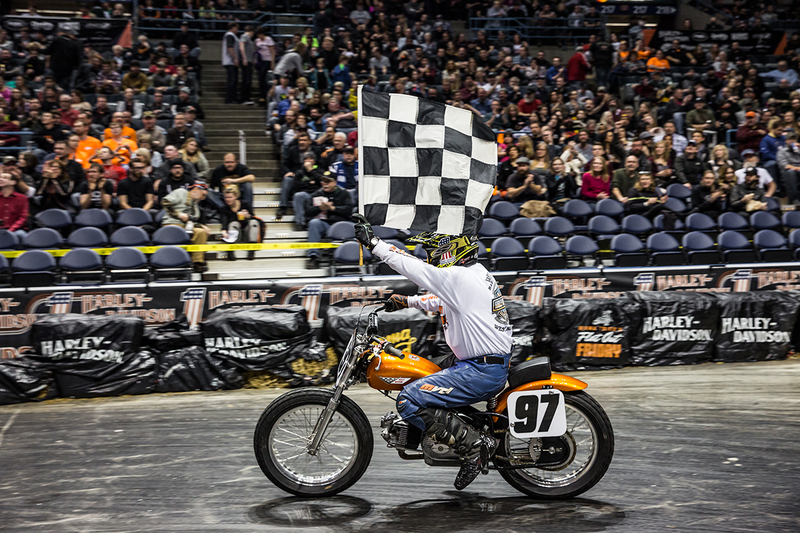 I grew up with a true blue biker for a dad. There was not a day then went by that I can't remember seeing my dad dressed in leather boots, Levi blue jeans, a black T shirt and big wallet chain hanging on his side. His one and only bike until I hit my 20's was a 1950 Hydraglide with a Shovelhead power plant. 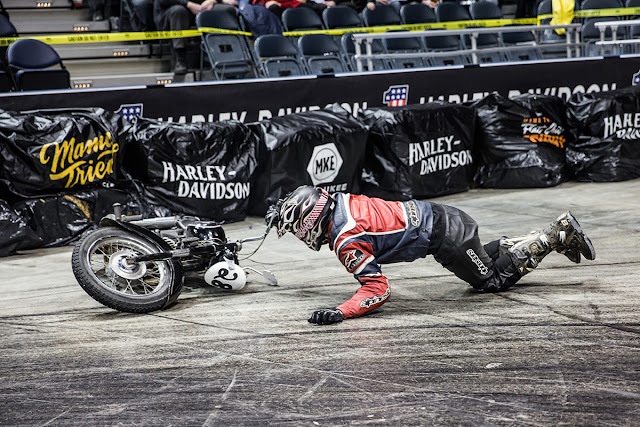 Watching my dad and hearing that motorcycle out in the garage revving.. I knew what I wanted to do with my life and who I wanted to be. Along with my love of Harley-Davidsons I also was a fan of Honda CB motorcycles and have had just about every model of CL and CB they have ever made. 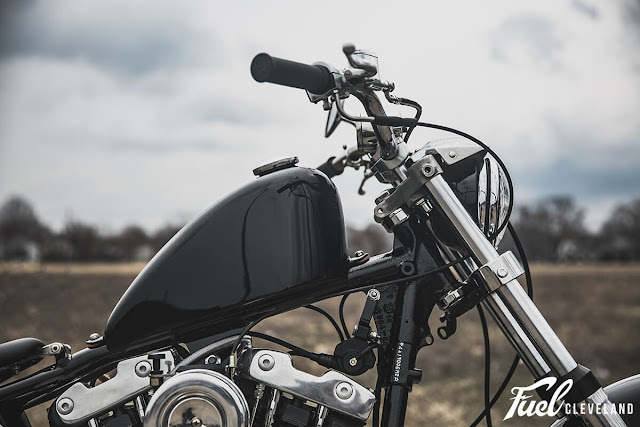 One of my first bigger street bikes was a '76 CB750k when I was about 20. I rode it for about a year before I decided I needed to chop it up and make it my own... and just like that I was hooked on building custom bikes. 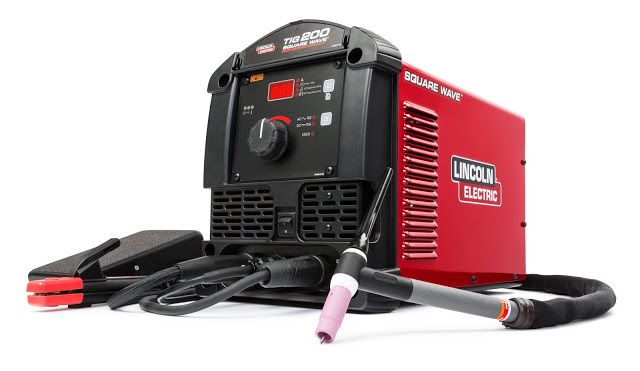 Like many of us, my first build was low budget. 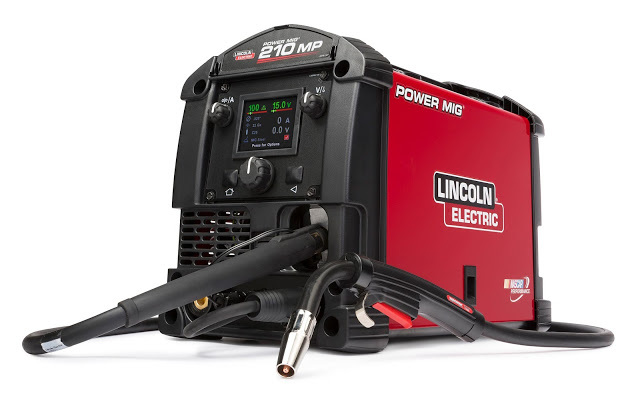 Hell, all I had was some old farmers stick welder, a grinder, and a vision of what I wanted it to look like. 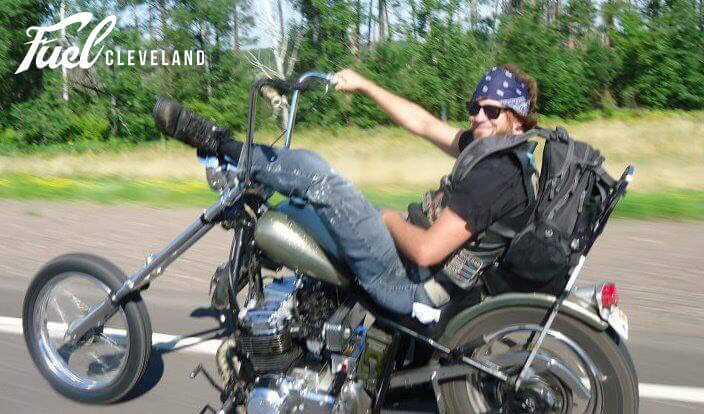 From then until now I have worked in two independent shops- Color and Chrome in Superior, WI and currently Gilby's Street Dept. 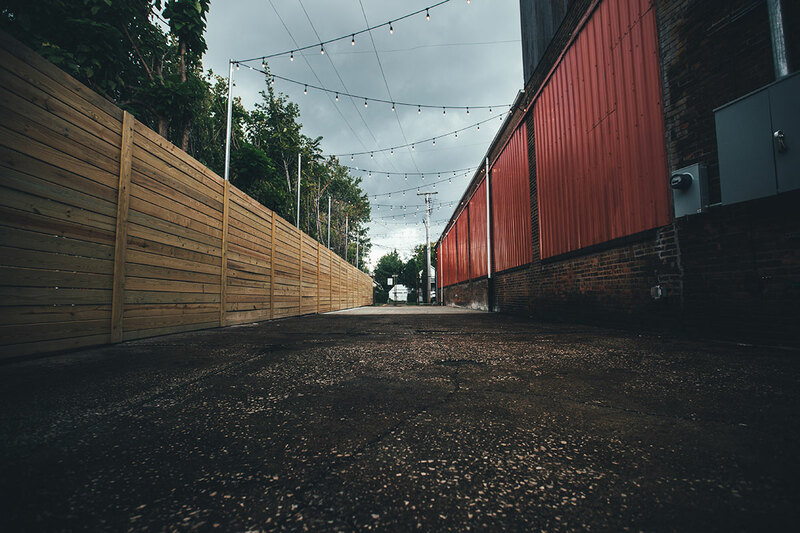 in River Falls WI. Through this experience I have worked at honing my skills in repairing every make and model of motorcycle, as well as building hot rod engines and custom bikes! 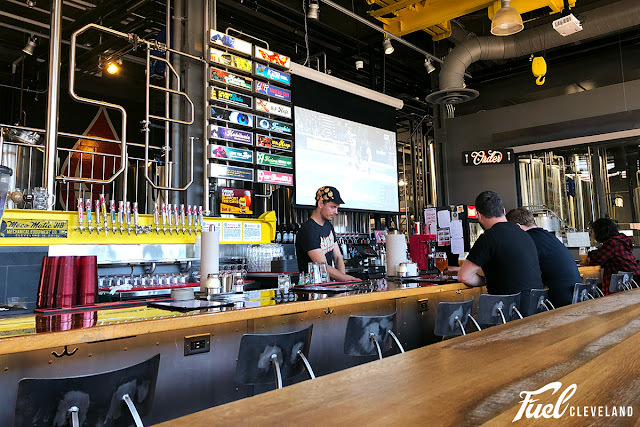 I am truly lucky to be a part of Gilby's and have had a great team of co workers for the last 5 years. 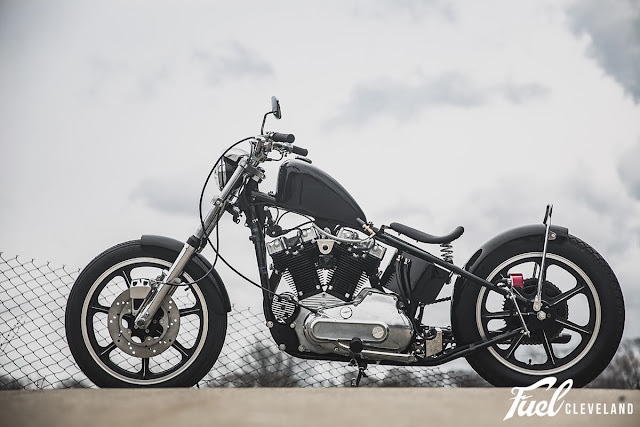 Working at Gilby's has given me a lot of opportunities to build and create some very cool exotic customs. Everything from superchargers, to multiple carbs, wild induction, and even crazy length frames. 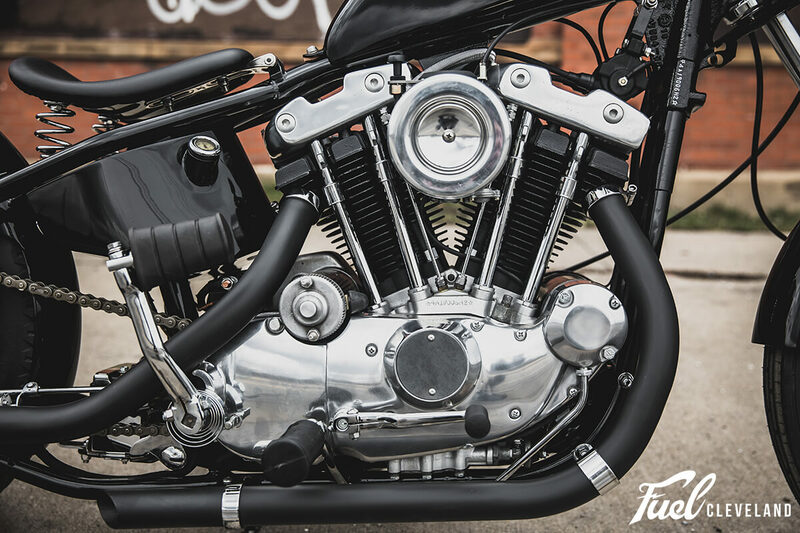 Big engines and big horse power is what I am all about and it's a perfect fit! So being that I have been building a lot of cool bikes for other people I wanted to do one for myself. 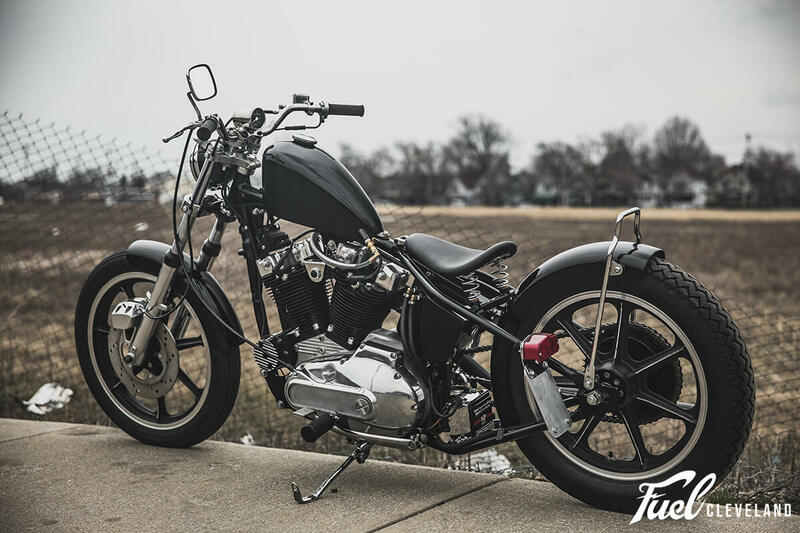 A couple years ago I picked up a 1982 FXR. 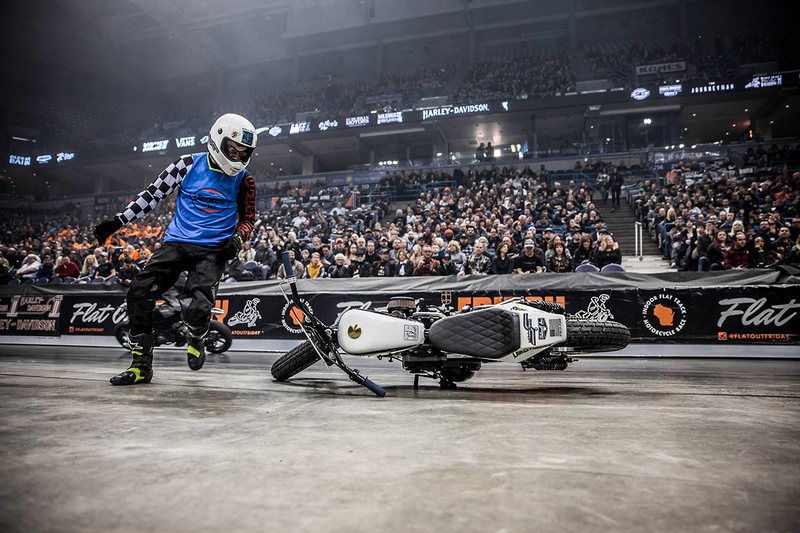 I rode it around for a year before the crank run out got so bad, the vibrations literally cracked the cases. 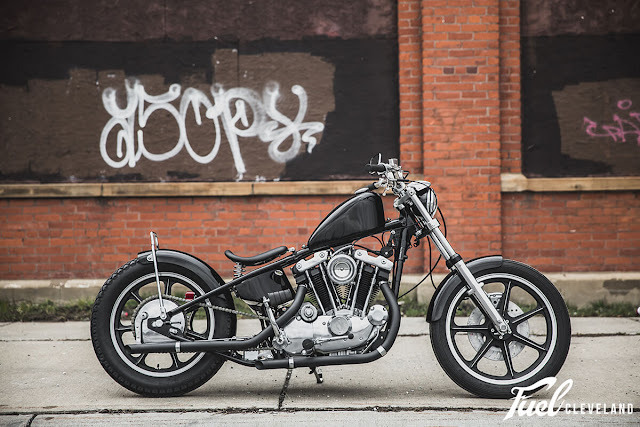 So I decided to strip it down and build a nice rider. 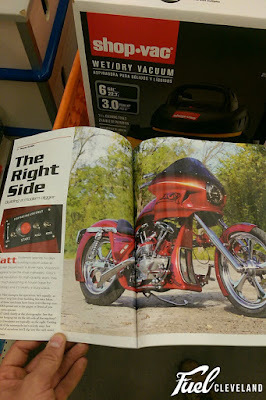 The FXR was an awesome platform and it was right when the FXR craze was really starting to get big. 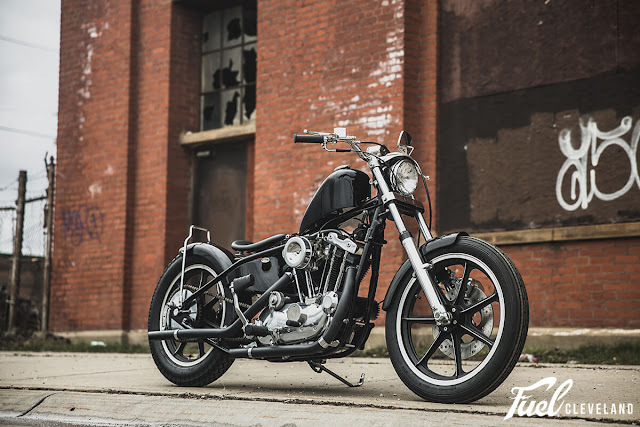 I finished it for Sturgis 2016 and it was an instant hit. My second show I picked up two magazines, American Iron and Bikers Net. 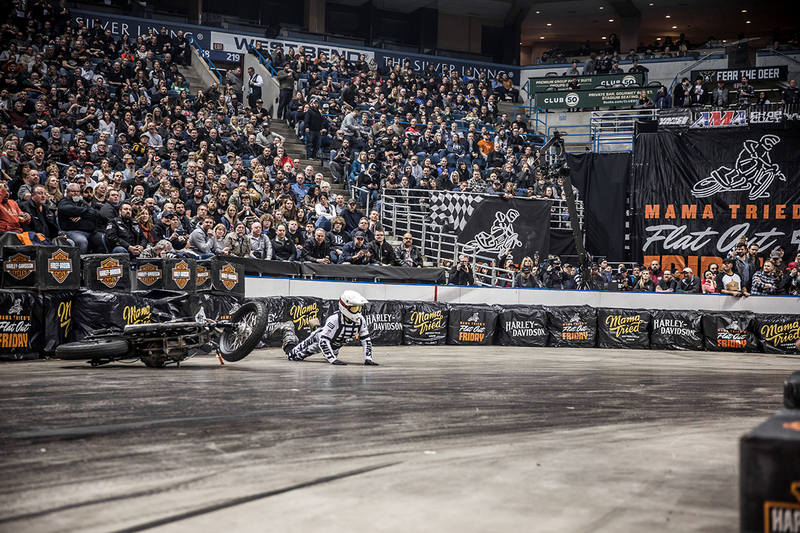 That was an experience ! 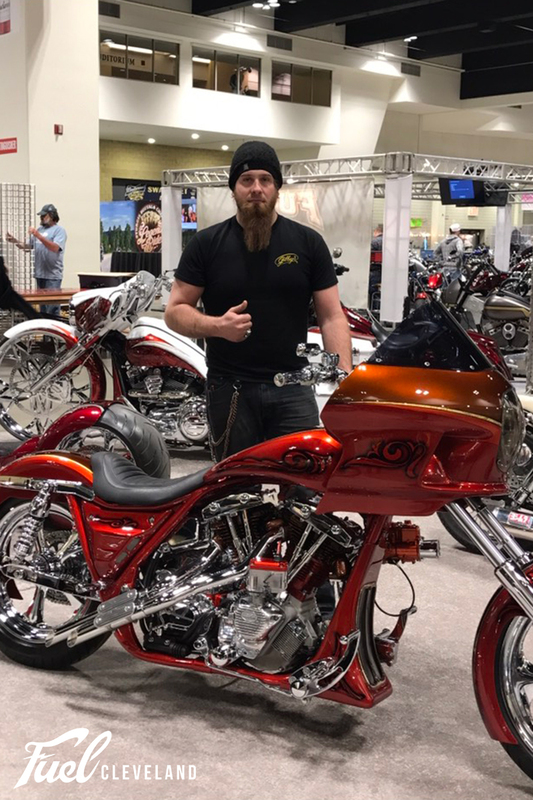 It also won best FXR at the Cycle Source show . Since Sturgis, I've showed the bike over this past winter and won several more awards with it. It really inspired me to push myself more as an independent builder. 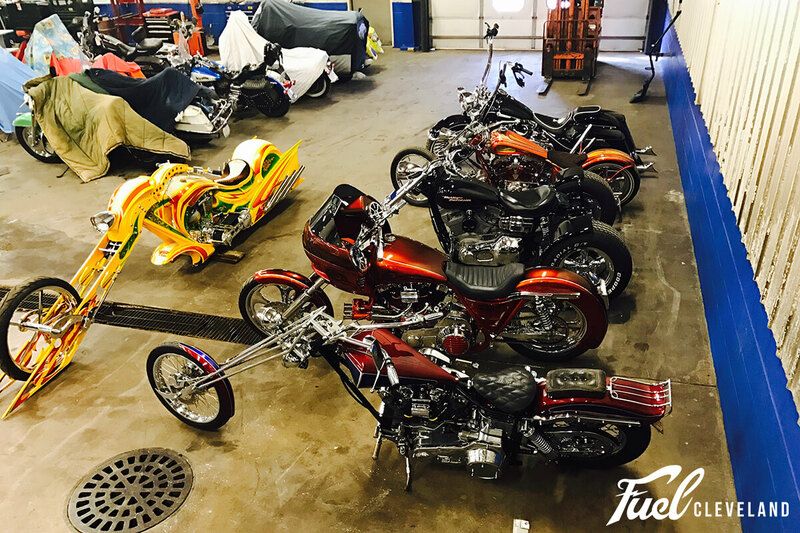 Since then, I had a few bikes on the back burner. 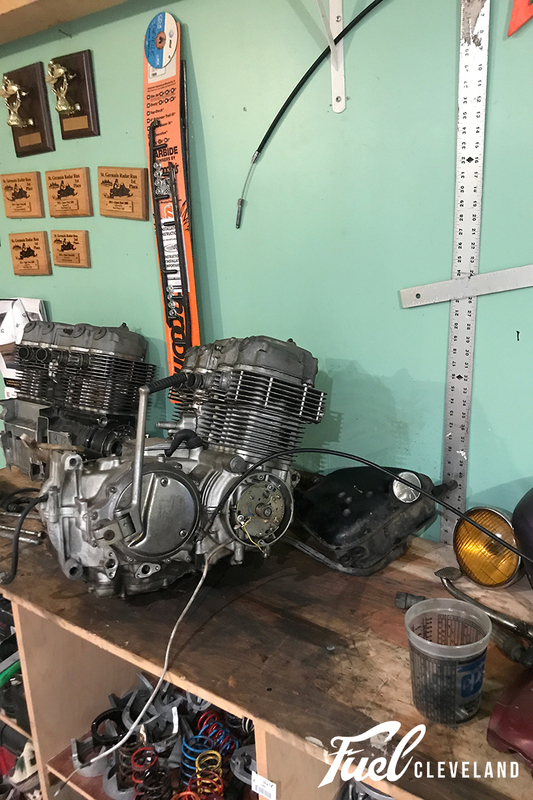 One being this 1971 CB750 twin engine jobber that I started back when all I had was a single stall garage and stick welder. Having been invited to Fuel Cleveland, I decided to use this bike for my build and go back to my roots that lays with choppers and Honda CB750's. I am building the bike out at my house in the cold and all just like the old days and keeping this build old school and true to what so many of us started out doing! 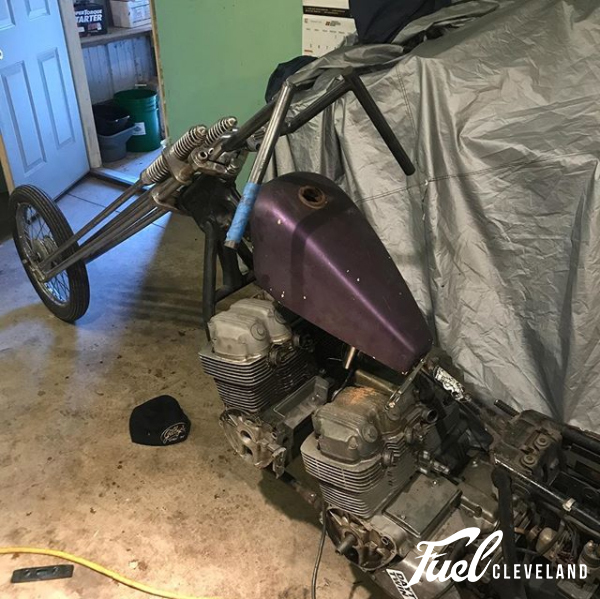 I can't wait to finish it and ride out for the show with two engines, 8 carbs, 8 pipes, and big smile on my face having this bike go from where it all started to where it will take me next. 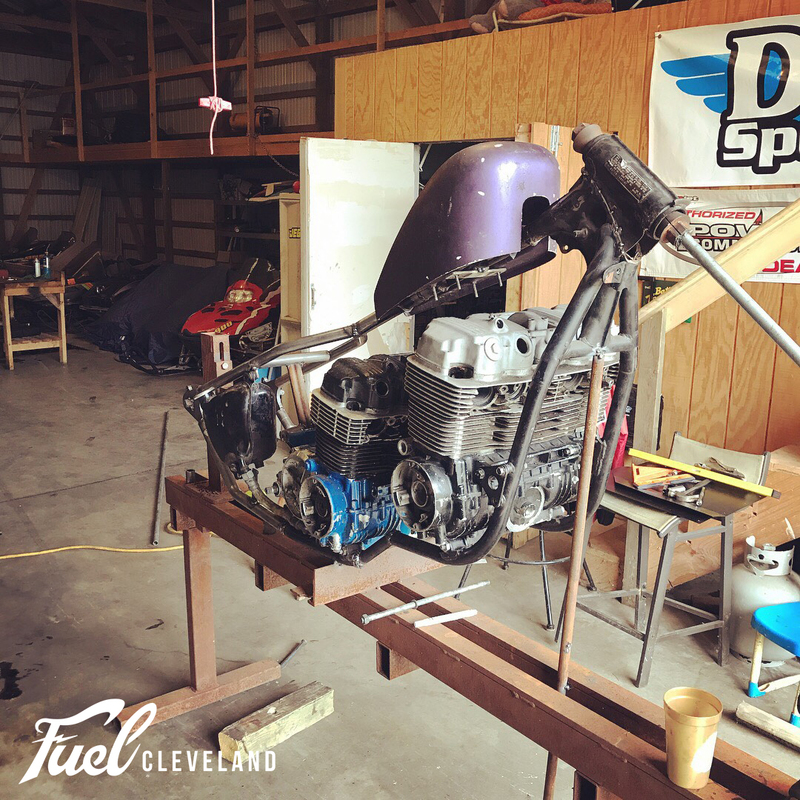 Currently I am working on putting a hard tail on the frame, making engine mounts and getting the over all look of the frame the way I want it. 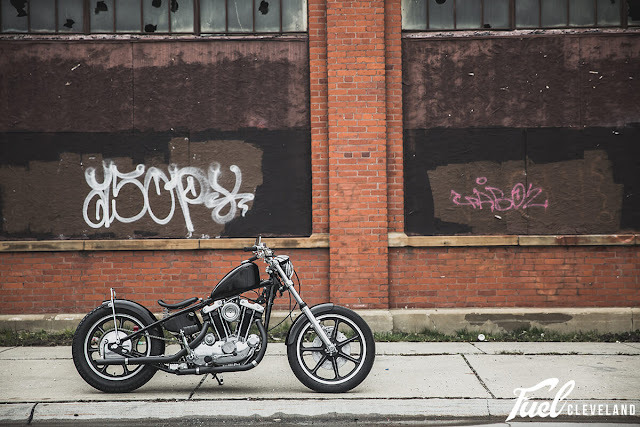 You can follow Matt's progress on his build via his Instagram page @Mattgilbys_street_dept and also on this blog. Make sure not to miss this amazing dual engine chopper unveiled for the first time at Fuel Cleveland on July 28th, 2018! We are extremely excited to announce Mama Tried's Flat Out Friday will be coming to the Wolstein Center in downtown Cleveland on July 27th, 2018 the night before Fuel Cleveland! What is Flat Out Friday? 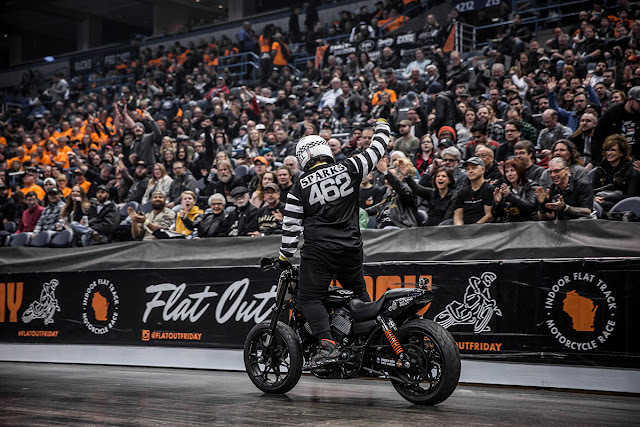 - "Flat Out Friday is an indoor, flat track, motorcycle race on a Dr. Pepper soda syrup surface. 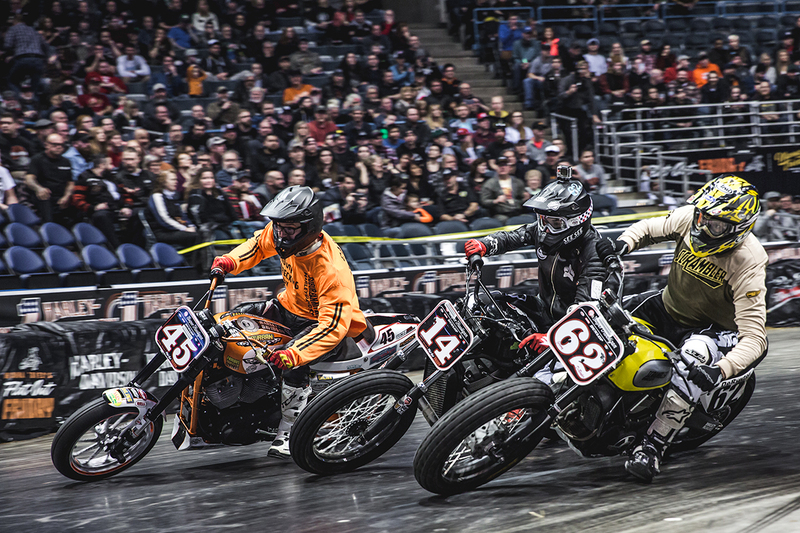 The dried syrup will allow the bikes to stick to the floor for maximum traction and speed." Here are a few photos from Flat Out Friday 2017 in Milwuakee, WI. The floor may be sticky but it still causes a lot of trouble for racers from all classes! 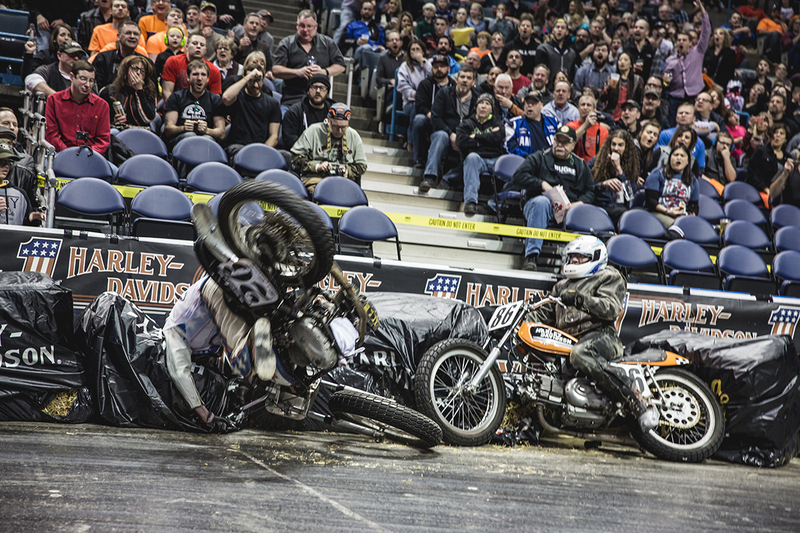 Thrills and spills, all in hopes to claim 1st place. Taking off in the Pro heats. 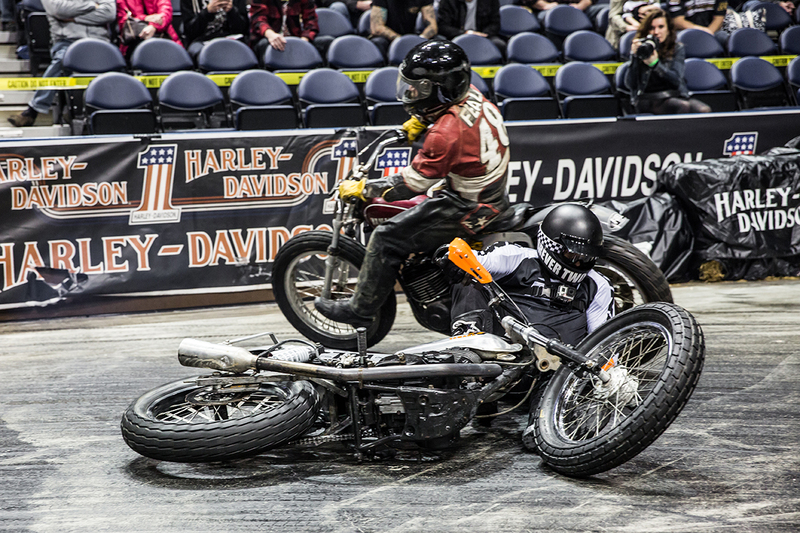 More Pro class with extremely skilled riders. The man, Mark Atkins aka Rusty Butcher â€¢ Hooligan Class. 78 year old Chuck Dickenson flipped his bike into some hay bails and got up like nothing happened! 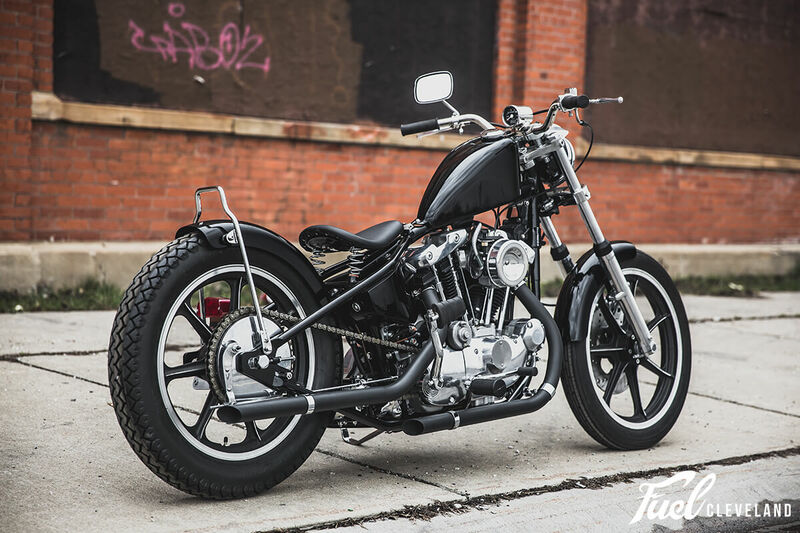 Ruler! 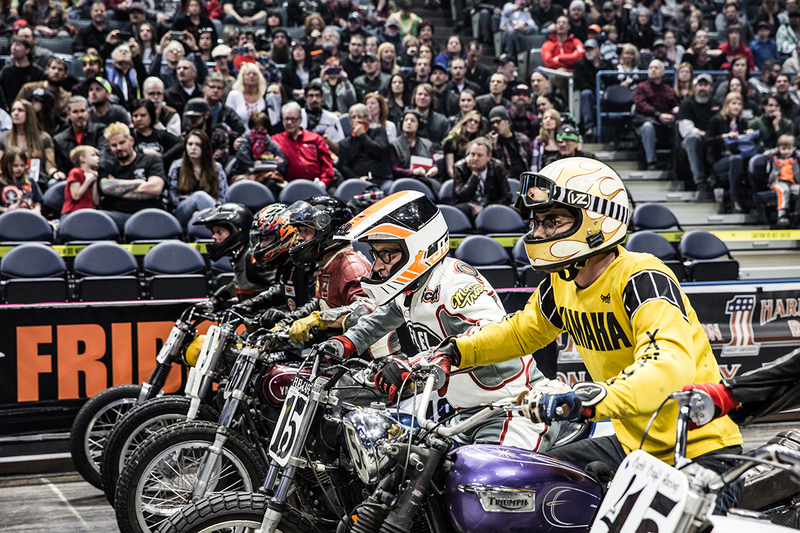 Intense moments at the starting line! 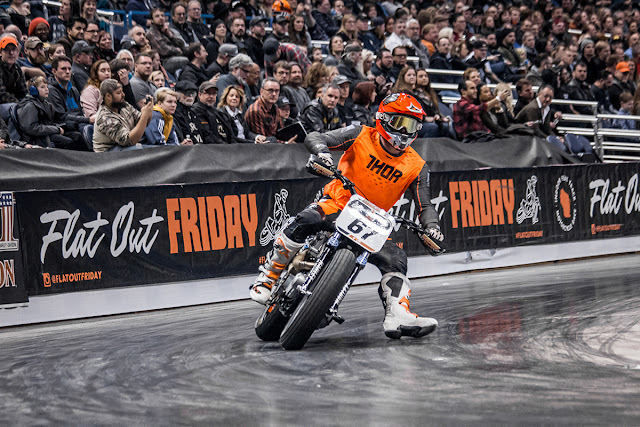 Pro class finals were worth a pretty nice purse!